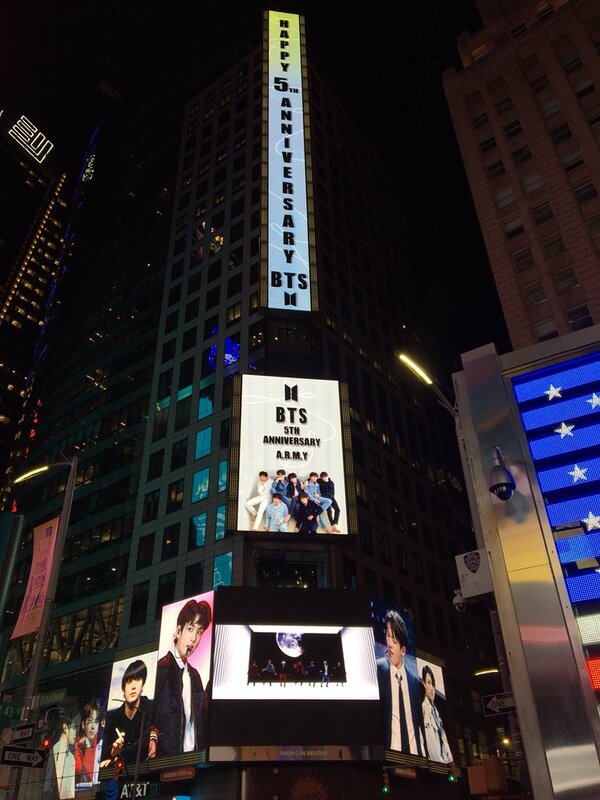 Today is the fifth anniversary of K-pop sensations BTS after they debuted on 12 June 2013, and fans around the world are marking the milestone with different celebrations. 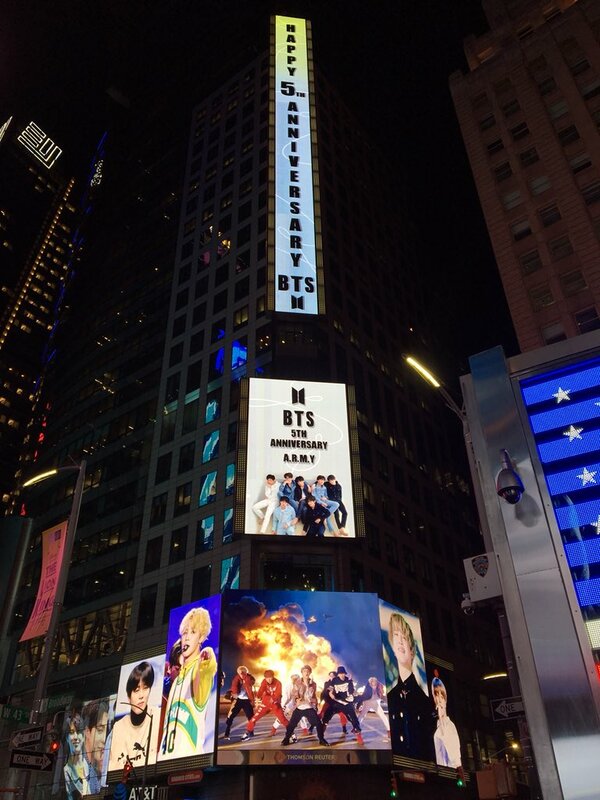 In New York City, ARMYs (the collective name for BTS fans) have started running display ads in the famous New York Times Square. The ad started running on the Thomson Reuters’ 11 screens at Times Square located on 7th Avenue at 43rd Street on 11 June and will be displayed for three days until 13 June. 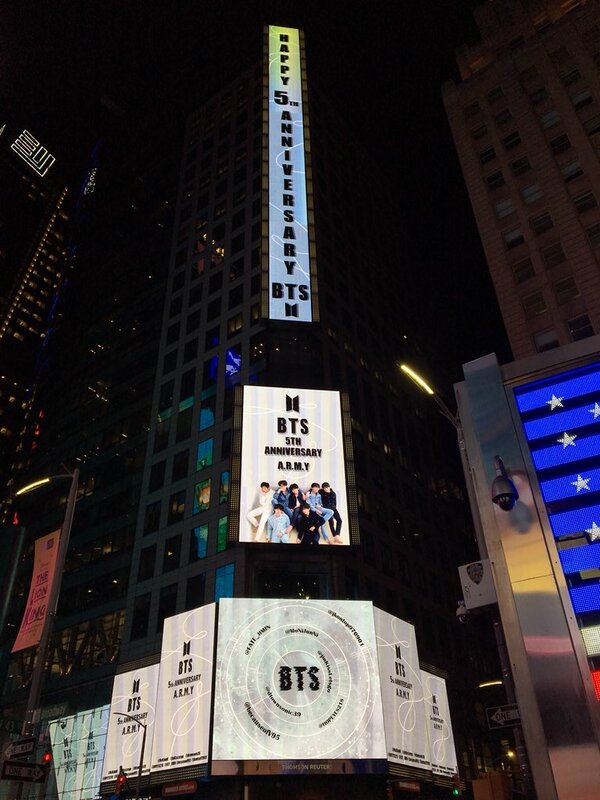 The 29-second ad will run four times an hour from 6am to 2am and displays the message ‘BTS 5th Anniversary (from) A.R.M.Y’ along with the music video of the boy band’s Fake Love track. 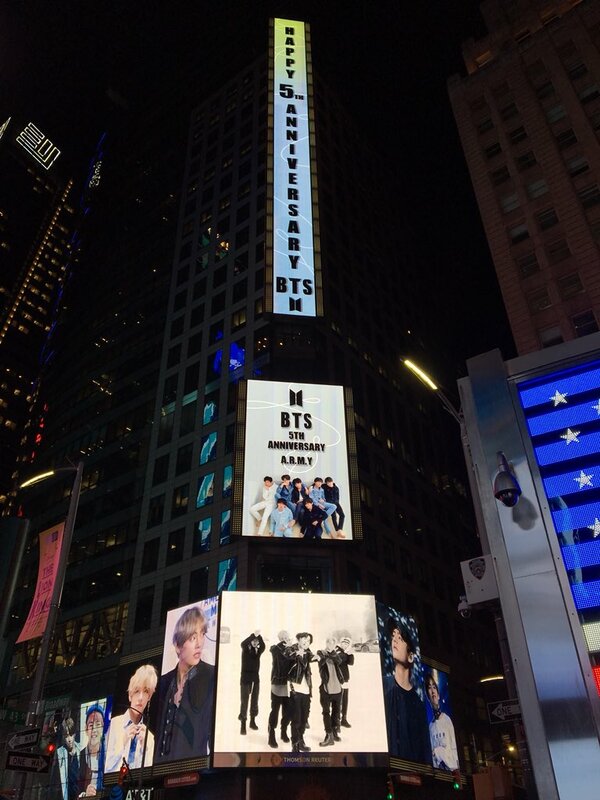 The BTS New York City account explained: ‘The BTS ad plays every hour on the hour, two minutes past the hour, 24 minutes past the hour, and 52 minutes past the hour. 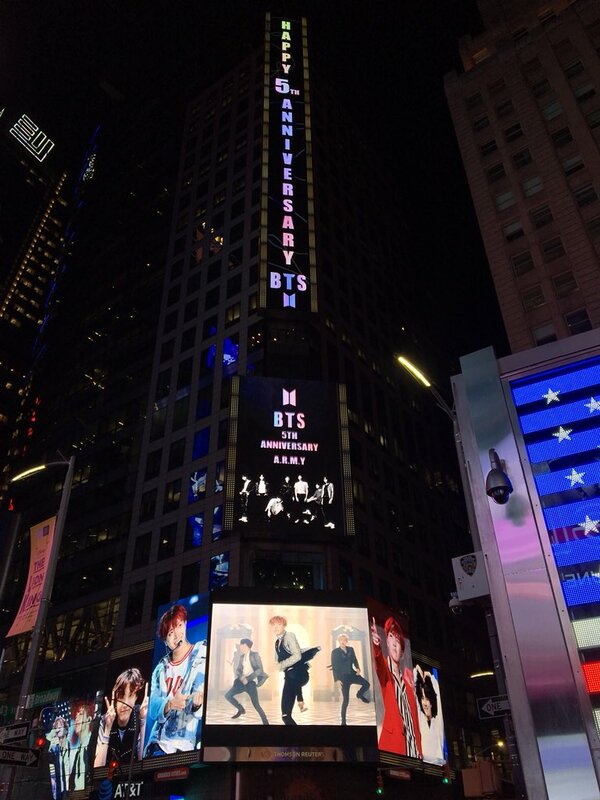 The ad will run until 2am on June 13th. 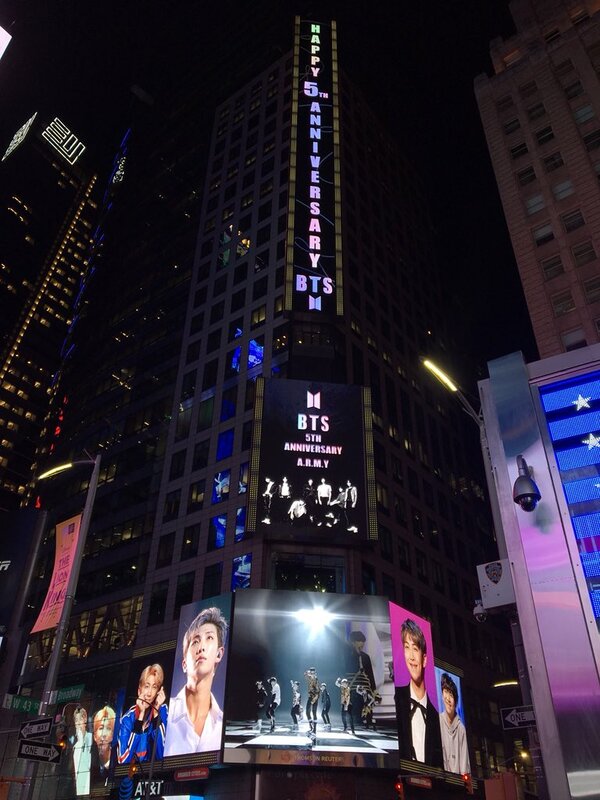 ARMYs who put up the ad include: @fate_jimin @MoNiJunNi @jinKissLetsgo @dtownsonic39 @HOPEYES218 @becauseofV95 and @jkontop970901. 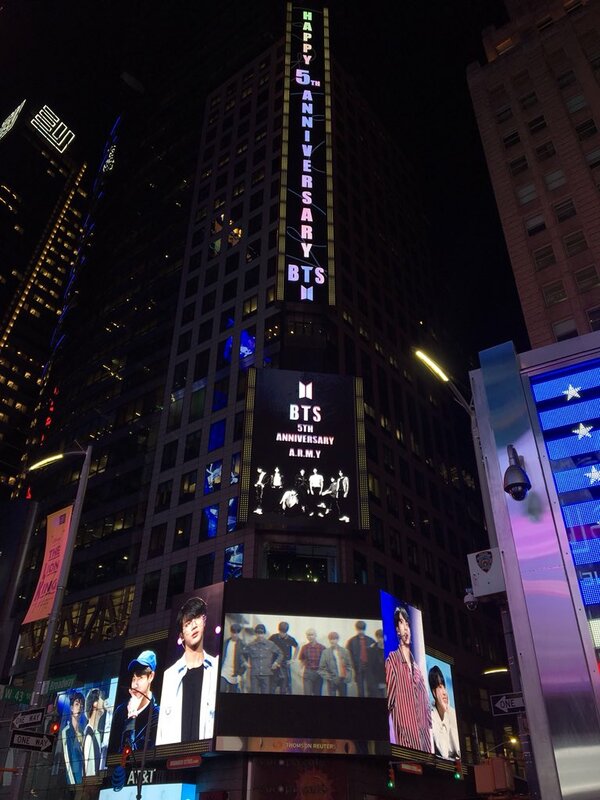 As well as this, LG Electronics also displayed a BTS ad at Times Square to congratulate BTS on their fifth anniversary and promote their new smartphone LG G7 ThinQ, which is being endorsed by the boy band. LG Electronics released the G7 ThinQ in the US and Canada last 1 June. The Korean company announced last March that it signed up BTS to promote the new smartphone in TV advertisements and online campaigns. 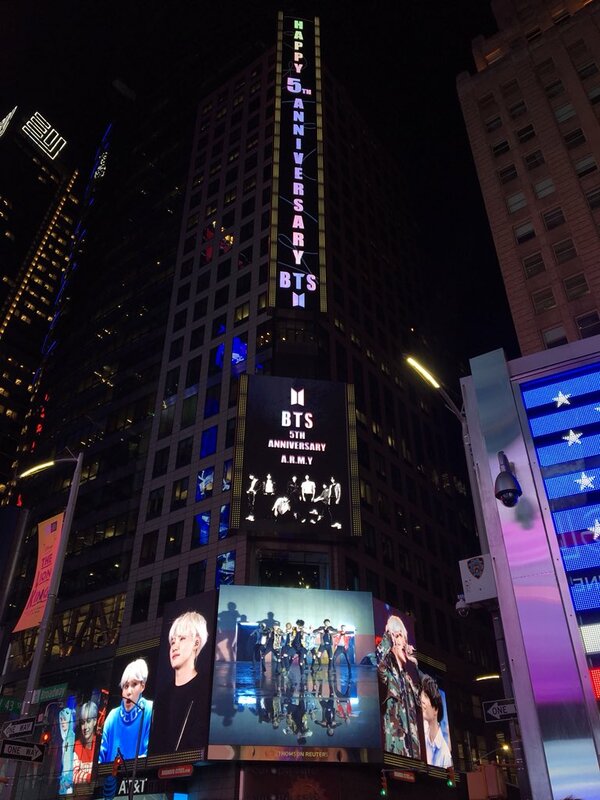 They said they are banking on BTS’ global popularity to establish a new image for its smartphones.